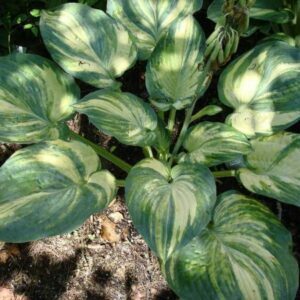 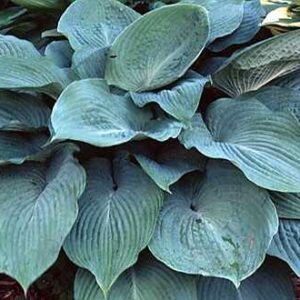 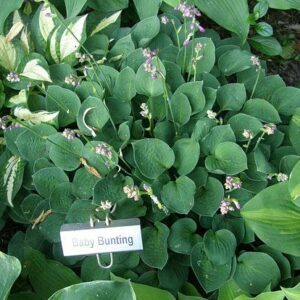 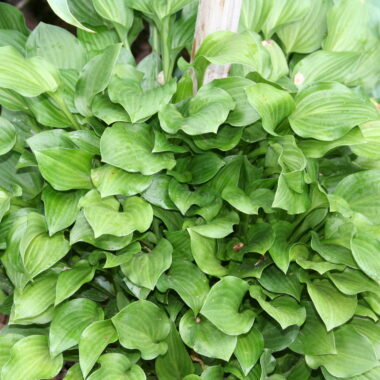 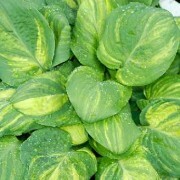 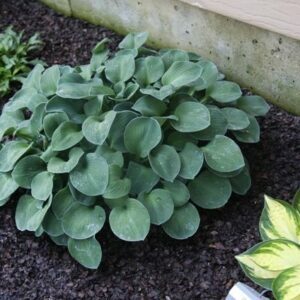 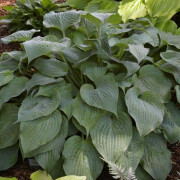 Blue Tooth Hosta – This powder blue hosta has both, leaves 11.5″ X 4.5″ and 12 pairs of veins! 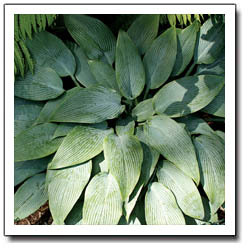 It also has light lavender Bird of Paradise-like flowers in August. 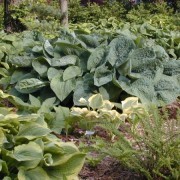 It makes a large symmetric mound.